Machmar Industries Sdn. Bhd. is a Malaysia racking system manufacturer that supplies a wide range of retail display racking system, shelving system, gondola, supermarket display racks, store display racks, boltless racking system, bookstore and library shelving, etc. for our customers’ needs. Every business needs some space to display and store goods in retail spaces. Machmar has invested on perfecting our racking and shelving systems to offer a professional and versatile solution for increasing the organization and efficiency of your business. Established in year 1996, our company has gained great expertise and knowledge in manufacturing of different types of gondolas, racks and shelves. Machmar Industries has been producing quality boltless racking and gondolas as per custom made according to the requirements of our customers. We manufacture an extensive range of commercial, office, retail and industrial gondola and shelving system for various applications. Our products are manufactured and distributed to customers of various industries in pharmaceutical, supermarket, hypermarket, bookstores, CD stores, stationery store, convenience store etc. Our customers are both from locally as well as internationally. Being the leading boltless racking system manufacturer in Malaysia, Machmar Industries is always on the forefront of our business by keeping up to date with our manufacturing process and also distribution network. 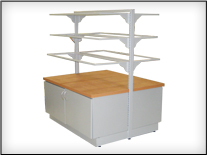 We are committed to offer quality display racking and shelving system with easy assembly. 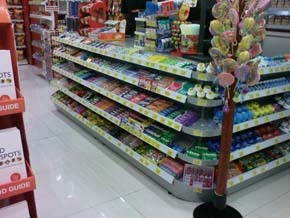 Machmar manufactures hypermarket gondola and display racks with variety of selections. These convenience store gondolas are made of durable steel plates, able to hold a fair amount of weights. The racking system is suitable for hypermarket facilities in displaying convenient goods. 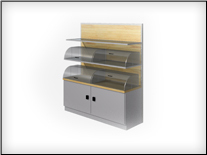 Our gondola and shelving system can be customized in shapes and styles to fit your load and store better. 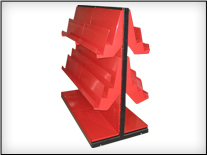 Machmar offer steel supermarket shelving and gondola shelves that comes in a wide variety of shapes, sizes, colors and styles for supermarket vendors to choose from. 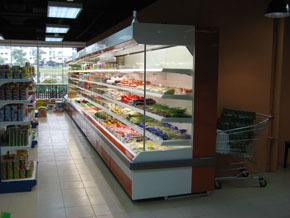 We design our supermarket gondola with flexibility, load ability, visibility, durability and versatility in mind. 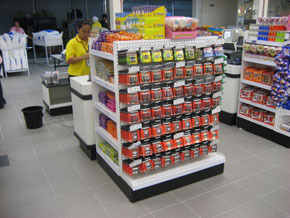 Our gondola and display racking system is suitable in displaying different types of convenient goods. Machmar designs convenient store gondola with maximum space saving capability to increase the store’s real estate. 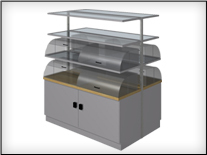 Our convenient store gondolas are made from durable steel plates, that comes commonly in standing and wall mounted variation. 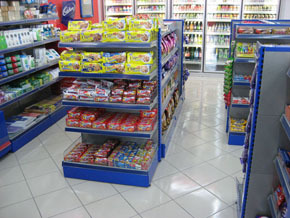 These display racking systems are also customizable to better fit your floor plan and convenient store designs. 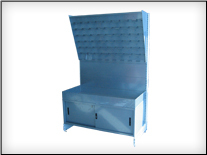 Machmar manufactures gondola and storage racking system for Malaysian pharmacies and clinics. 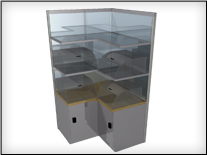 We have a complete range of pharmacy gondolas to better merchandize pharmaceutical products. Our pharmacy display racks are developed to display small products that save spaces on retail estates. 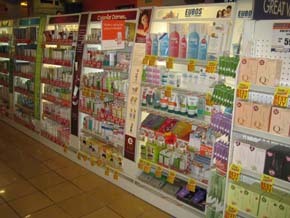 The wall mounted gondolas are particularly popular among pharmacies. 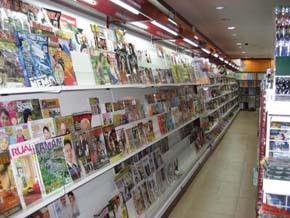 Machmar also manufactures a wide range of book display racks and gondolas for bookstores. They are designed for easy browsing on eye level with a variation of designs. They are made of durable steel plates, able to hold a large amount of books. We understand clients sometimes prefer custom made gondolas and display racks to better suit the interior design and floor plan. We are able to manufacture different sizes and dimensions with custom designs. Feel free to send in your floor plan so we can have a rough idea on suitable gondolas and display racking system that will suit your retail store and office.